"...The ambition inherent in Christina Anderson’s heady, poetic and ambitious new play at the Goodman Theatre is right there in its title: “How to Catch Creation.” That’s quite a challenge. To murder the lyrics of Oscar Hammerstein II, to distill the creative act is like trying to catch a cloud and pin it down, or trying to hold a moonbeam in palm of your hand." "...Director Niegel Smith and his emotionally connected cast revel in Anderson's comic and serious examinations on the messiness of love, friendship and artistic inspiration. They're as adept at winning laughs as they are at prodding tears from their audience." "...The all-black cast of six portrays a group of artists who navigate the complexities of enduring friendship and love over several decades. Karen Aldridge is a stunner in a layered role as the strong friend who helps everyone but herself; Keith Randolph Smith is tenderly lovable as a mature man with a new lease on life; and Jasmine Bracey is deliciously contradictory as a genius writer—a role usually reserved for men. When you don't give creativity or love the proper attention, it begins to fade. The passion in this production was indelibly dyed into my memory after witnessing it." 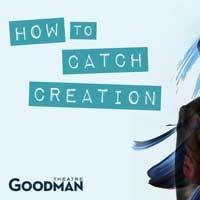 "...The brilliance of "How to Catch Creation," tightly written and witty and authentic, prevails to the end. It's a polished show, directed by Niegel Smith with grace and empathy as well as taut line and a keen ear for its the play's tone. But check your assumptions at the door; wherever you think this sly scramble is going, trust me, it's not headed there." "...By play’s end, thanks to a sextet of graceful and utterly convincing performances and the unforced honesty of Anderson’s sprightly dialogue, this invaluable Goodman discovery really has caught creation. A supposed minority become in fact a microcosm for hoping humanity. The effect is as delirious and dizzying as the rapidly rotating set changes. Consider creation caught." "...'How To Catch Creation' (HTCC) is written by the gifted playwright an inaugural Harper Lee Award, Christina Anderson. Along with Bessie Award-winning theater director and performance artist, Niegel Smith, most recent work at Goodman, 'Father Comes Home from the Wars (Part 1, 2, & 3) which was our #1 play for 2018; Anderson and Smith is a brilliant collaboration that makes this a magnificent play." "...Headline: Another World Premier on a Chicago theater stage! Of course! Playwrights love our city and the audiences that we bring to see their works. As I have said many times, Chicago theater audiences make us other than the “second city”. This play is “How to Catch Creation” written by Christina Anderson. It is a play that depicts the lives of three artists, who with their partners take us on a trip through time and the trials and tribulations of lives that are “different”, both in the past and present." "...Whether we are separated by fifty years or fifty seconds, there is a lot to be learned about the power of legacy and what we leave behind. There is no clear formula to be found in this production either; you know what they say about best laid plans. But there is one thing of which we can be certain: you need to catch this show." "...In How to Catch Creation, Anderson reminds us that the more things change, the more they stay the same. The title tips us off to the parallels within these couples, and the pursuit each holds in common of creation - in painting, writing, procreating - and the quest for love. As if to underscore it all, Anderson gives us several pairs of scenes that run concurrently, with identical dialog spoken sometimes simultaneously, sometimes sequentially, by couples in different times and of different ages. The effect is marvelous." "...The influence of life on art and art on life is the underlying theme of Anderson's CREATION. A writer from the 60s (Bracey) inspires Griffin (KR Smith) to lecture and Stokes (Gilbert) to write a novel. Riley (Prentiss) becomes Tami's (Aldridge) impetus to paint again. Unexpected connections continually change life plans throughout the show. And art and life is weaved together in a vibrant tapestry of love and passion." "...Anderson has crafted a rich tale here, and this Goodman cast seems perfectly aligned with the effervescent quality of her writing. However, act two, when the intertwining plots tangle further before loosening towards conclusion, could use a little editing. Creation is, in its current form, just a tad too long at 135 minutes (one intermission), a length that threatens to dull the impact of what up to then is such a satisfying dramedy. And I'm not convinced Anderson has figured out just how to use G.K. Marche, the author we see in flashbacks, to get at the heart of what she's trying to say-also there's a pretty major shift the actor must make to play some of Marche's later scenes, and the opening night effect of the performance bordered on parody. But even so, Anderson and director Niegel Smith have infused this story with real heart and humor. With a few tweaks I think this could be a truly dynamite show." "...But important as that perspective is, fulfillment desires and gender issues transcend race. Thus the play is meaningful on many levels. And under the direction of Niegel Smith who did "Father Comes home from the Wars" the cast superbly interprets Anderson's sharp and clever dialogue." "...The juxtaposition of all of this with the similarly troubled past relationship of Natalie and GK helps to ground this play. Marché’s immense body of work came from a place of pain, and we see that creation can derive from any strong emotion at all, though it is never easy." "...At the core of this work is the idea that we are all authors of our own story from its conception and birth to whatever comes next. The story that we are meant to tell, that gives us meaning, purpose and leaves behind a legacy, is unique to each us. Sometimes we must soldier through to whatever scenario is on the other side. And then there are times that we must just let go, lead with the heart, and trust our gut. Either way creation is a process that requires others. We cannot do it alone." "...A brilliant ensemble and gorgeous stage make How to Catch Creation what this writer believes is a show to see. Anderson invites her audience to learn from the characters before them and reflect in the midst of a story full of hope. This writer certainly has not stopped thinking about it since."